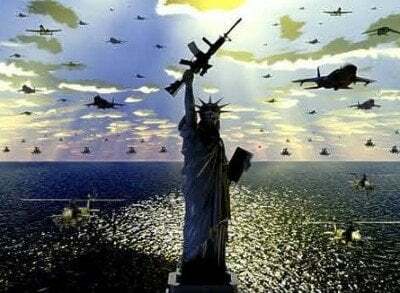 “Perception Management” was pioneered in the 1980’s under the Reagan administration in order to avoid the public opposition to future wars that was seen during the Vietnam War. Actions to convey and/or deny selected information and indicators to foreign audiences to influence their emotions, motives, and objective reasoning as well as to intelligence systems and leaders at all to influence official estimates, ultimately resulting in foreign behaviors and official actions favorable to the originator’s objectives. In various ways, perception management combines truth projection, operations, security, cover and deception, and psychological operations. At the onset of the Iraq war in 2003, journalists were embedded with US troops as combat cameramen. The reason for this was not to show what was happening in the war, but to present the American view of it. Perception management was used to promote the belief that weapons of mass destruction were being manufactured in Iraq to promote its military intervention, even though the real purpose behind the war was regime change. In 2001, the Rendon Group, headed by John Rendon, was secretly granted a $16 million contract to target Iraq with propaganda. Rendon, who had been hired by the CIA to help create conditions to removal Saddam Hussein from power, is a leader in “perception management”. Two months later, in December 2001, a clandestine operation performed by the CIA and the Pentagon produced false polygraph testimony of an alleged Iraqi civil engineer, who testified that he had helped Saddam Hussein and his men hide tons of biological, chemical and nuclear weapons. Of course, we now know that there were no weapons of mass destruction hidden in Iraq. The US media became part of the information operations campaign, which weakened their credibility in the eyes of global media. “In February 2003, when former Secretary of State Colin Powell addressed the U.N., he described “a sinister nexus between Iraq and the Al-Qaeda network,” stating that “Iraq today harbors a deadly network headed by Zarqawi’s forces, an associate and collaborator of Osama bin Laden,” and that Zarqawi had set up his operations, including bioweapons training, with he approval of the Saddam Hussein regime. This has since been discredited as false. As I went back through the Pentagon in November 2001, one of the senior military staff officers had time for a chat. Yes, we were still on track for going against Iraq, he said. But there was more. This was being discussed as part of a five-year campaign plan, he said, and there were a total of seven countries, beginning with Iraq, then Syria, Lebanon, Libya, Iran, Somalia and Sudan. In 2004, Donald Rumsfeld sent Colonel James Steele to serve as a civilian advisor to Iraqi Paramilitary special police commandos known as the “Wolf Brigade”. Steele was a counter-insurgency specialist who was a member of a group of US Special Forces advisors to the Salvadorian Army and trained counter-insurgency commandos in South America, who carried out extreme abuses of human rights. The Wolf Brigade was created and established by the United States and enabled the re-deployment of Saddam Hussein’s Republican Guard. The Brigade was later accused by a UN official of torture, murder and the implementation of death squads. The techniques used by these counter-insurgency squads were described as “fighting terror with terror”, which was previously done in other theaters, such as Vietnam and El Salvador. The operation of death squads as counter-insurgency measures was also common knowledge at the time. According to the journalist Glen Greenwald, all military age males in strike zones of the latest drone aircraft strike programs are considered militants unless it can be proved otherwise. Some say that this has resulted in more civilian casualties than has been reported by the government. Kenneth Eade is the bestselling author of the Brent Marks Legal Thriller Series. Read other articles by Kenneth, or visit Kenneth’s website.